If you own a copy of the great 1991 Pro Set NFL Collectible Book, not only do you own a cool set in the 9-card Cinderella Story inserts, but you get to catch the lone glimpse of a variation that has probably never reached the hands of any collector. The card pictured above, is actually the image cut from the page in the 1991 Pro Set retrospective book. For whatever reason, maybe just to drive Pro Set collectors even crazier, they used this picture. Pro Set seemed to like their variations to come in 3 or more types. The Riggs, McMahon, Byner and Gizmo Williams cards all attest to this. 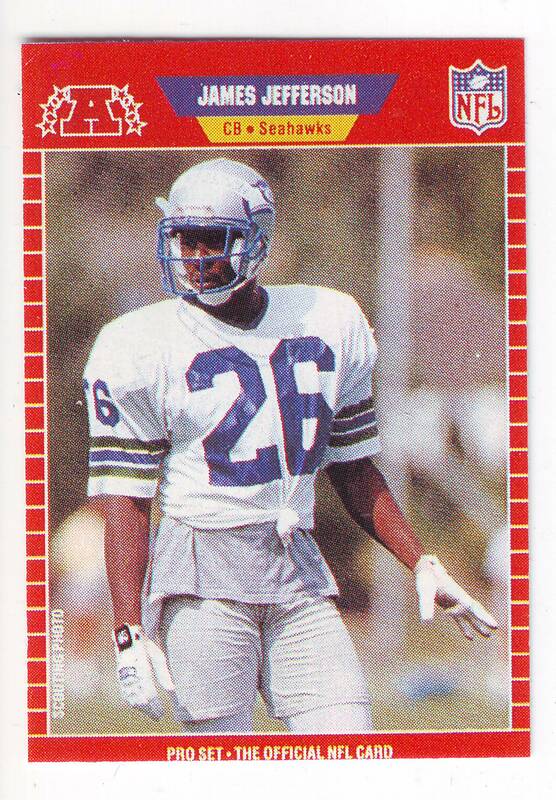 If this card actually exists, it has to be one of the rarest Pro Set cards produced to have remained hidden all of these years. Categories 1990 Baseball, Confirm or Debunk? 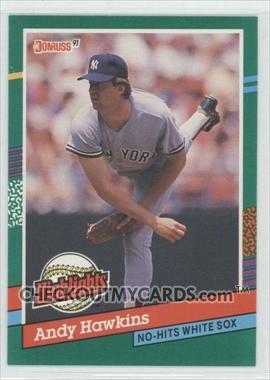 Will the owner of the 1991 Donruss Andy Hawkins BC-12A please stand up? This stupid card has eluded me for the years now. 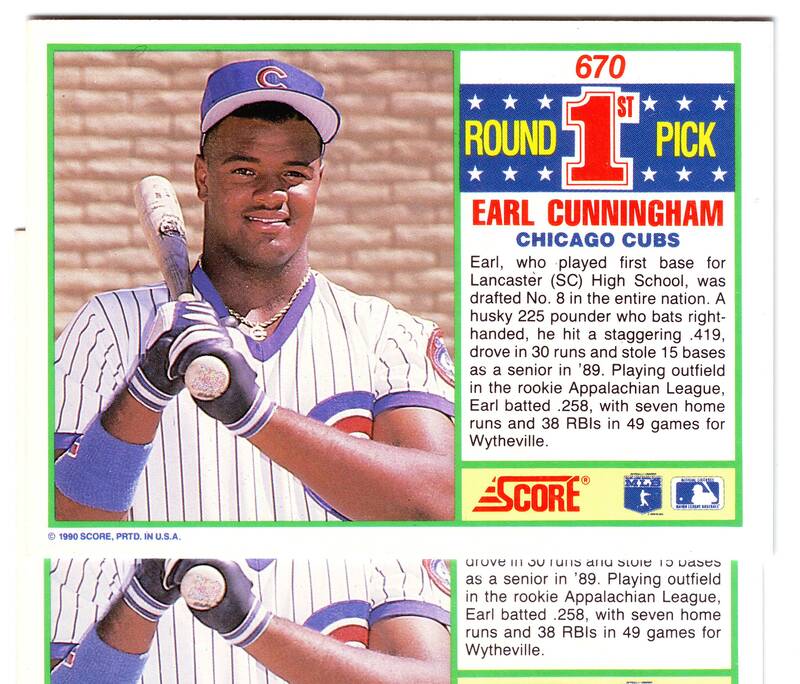 My muddled memories of being at summer camp in 1991 are littered with images of frenzied 1991 Donruss, Stadium Club and Topps Traded pack-busting and I seem to think that at some point between 1991 and 1992, that I owned this specific variation. Whether I did or didn’t is pretty irrelevant but I can say for sure that it’s pretty impossible to find today. 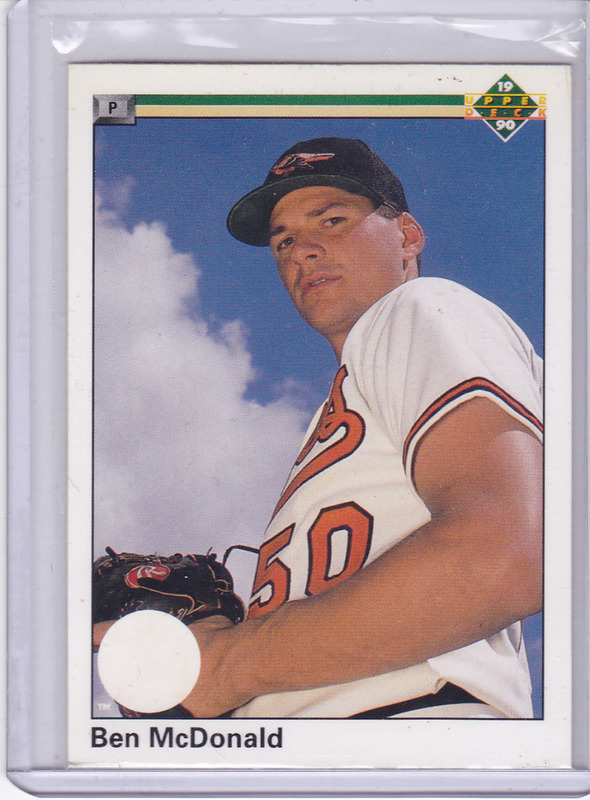 Probably because it’s a rare 1991 Donruss common (oxymoron). The card pictured above is the corrected version. It reads: “No-Hits White Sox” under his name on front. The error version reads: “Pitcher” as if it’s in the base card format instead of the Highlights subset format. I am willing to bet that if up for the challenge, that you could pull one of those Ryne Sandberg Legend Autographs before you ever pull the Hawkins error. I truly believe it’s that kind of rare. I’ve never seen a single copy on ebay. None have appeared for sale on beckett, sportsbuy or anywhere whithin google’s search radius – for at least the last 5 years. Anyone have one these guys? 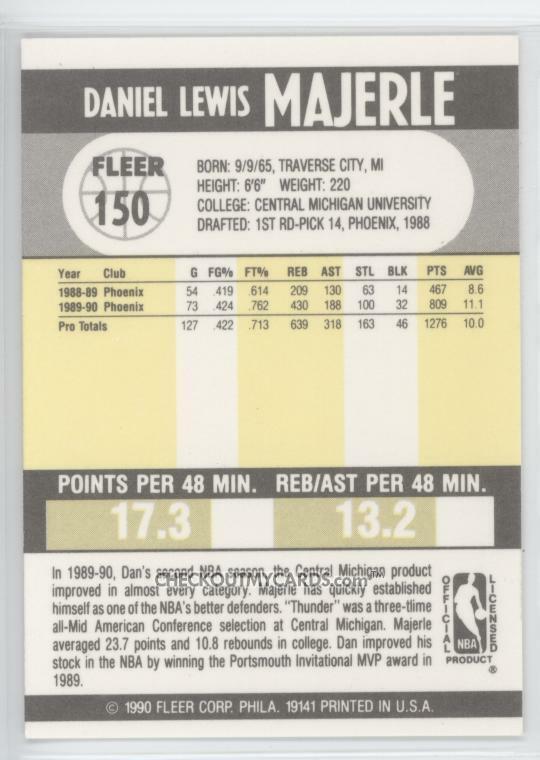 1990-91 Fleer Dan Majerle #150A with “award in 1988.” in text on back. The Beckett annual price guide lists this card, yet I have never found one in all my travels. I’ve always checked the back of this card whenever Ive come across one and they always say “award in 1989” on back. Several collectors have messaged me over the years asking if I have a copy for sale and many more have had it listed in their wantlists that they would email to me – this is usually an indicator of one of two things: It doesnt exist or exists in such low quantity (if in any quantity) that it may possibly be a proof or it’s just that rare. To add to the mystery, I’ve purchased several copies of this card from dealers via beckett.com, naxcom (sportsbuy), etc and a refund for them always followed shortly after. Can anyone confirm this card exists? Maybe a Majerle collector has some info on it? If you have a scan of one, please send me a message or post a link in the comments section, I’ll gladly repost it in this blog with a “Confirmed by” credit to you. Categories 1990-91 Basketball, Confirm or Debunk?